Tagged under Puella Magi Madoka Magica, Long Hair, Waifu, Ponytail, Red Hair. Kyouko is a veteran magical girl who arrives in Mitakihara after Sayaka Miki makes the contract with Kyubey. 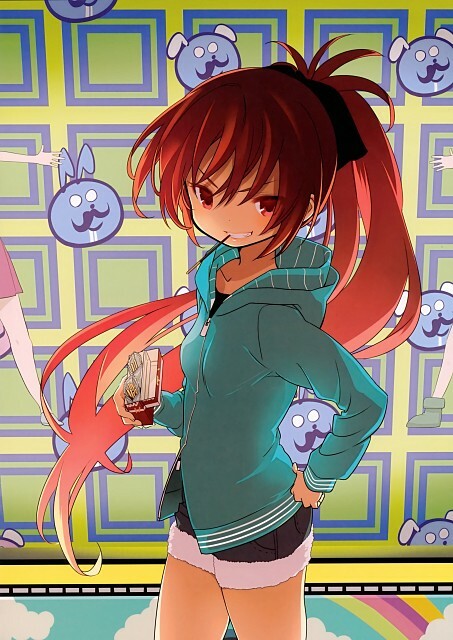 Kyouko comes across as detached and even cruel at times, preferring to work alone, but gradually opens up after multiple encounters with Sayaka and Madoka. She initially dismisses Sayaka's desire to do good, explaining that a magical girl's existence is motivated by selfishness and self-preservation above all, principles which govern Kyouko's own life. She is often seen eating food, especially sweets like pocky; a trigger for her temper is seeing people waste food, which is a throwback to a time in her past when her family barely had enough to eat.